Tourism in Vietnam, Cambodia, Thailand, Laos and Myanmar (Burma). Vietnam and Southeast Asia travel blog. Visa to Vietnam, Cambodia, Laos and Myanmar. In the Champasak Plains, on the outskirts of Pakse, we have the complex Vat Phou. It's ruins, Temple, shrine and Museum of Khmer civilization at the foot of the mountain Phu Kao with more than 1000 years old, reminiscent in some ways to the famous temples of Angkor. City Pakse It has an international airport: Pakse airport (code PKZ). Currently this airport only operates airline Lao Airlines with flights to Savannakhet, Luang Prabang and Vientiane, and international flights to Bangkok (Thailand ) Danang (Vietnam ) Ho Chi Minh City (Vietnam ) and Siem Reap (Cambodia ) . 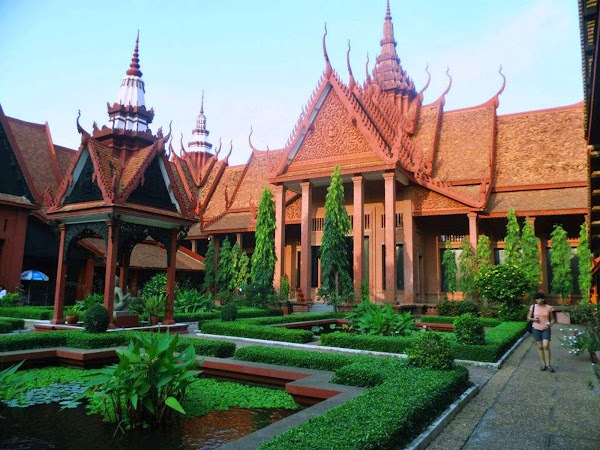 The streets of the colonial city of Savannakhet have a charm and attraction per se, but apart from the colonial buildings, Savannakhet has museums, temples and other tourist points of interest. This is our guide of what to see and what to do in Savannakhet. In the South of Laos is the colonial city of Savannakhet, the third largest city in Laos. With an undeveloped tourism industry, the city of Savannakhet is not indifferent to the traveler, simply love or hate Savannakhet, there is an intermediate point. The city of Savannakhet has its own international airport: Savannakhet airport (code ZVK). Currently in the airport only operates airline Lao Airlines with flights to Pakse and Vientiane, and international flights to Bangkok (Thailand) and Danang (Viet Nam). Although the colonial city of Savannakhet is not very large, is never of more you have a good plane calljero. 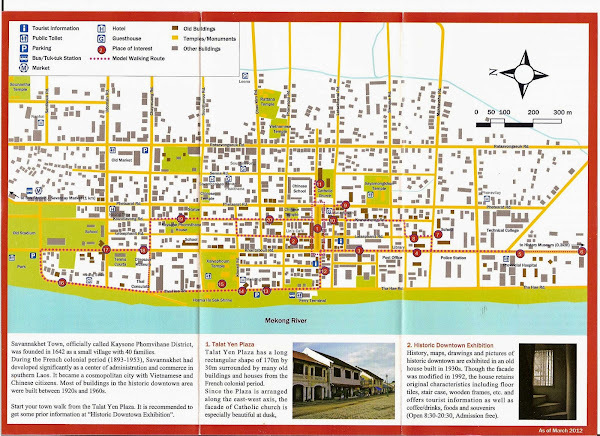 On this page you can download a tourist of Savannakhet map, a street map of the center of Savannakhet and Talat Yen square and a road map to visit the stupa That Ing Hang on the outskirts of Savannakhet. ARA travel to Laos is necessary to have a Visa tourism to Laos, here we explain how to obtain Visa for Laos, which is the price of the visa to Laos and the requirements for processing the visa-on-arrival for Laos. The city of Phnom Penh, the capital of the Kingdom of Cambodia is situated midway between Siem Reap and Ho Chi Minh City. Phnom Penh is the largest city in Cambodia, where live more than 2 million inhabitants, this vibrant and noisy mega-city that mixes Asian tradition and modernity, usually the point chosen to make a stop on the road to the temples of Angkor.